Recent review: Karin and her musicians were phenomenal! I would recommend them without hesitation. Arriving on the music scene in the late 19th century, Mariachi Bands brought an upbeat yet traditional sound to Mexican culture. With a blend of guitars, violins, trumpets, the guitarron, and the vihuela, Mariachi music can truly liven up a party! The upbeat authentic Mexican folk music is the perfect accompaniment for wedding receptions, Cinco de Mayo parties, and so much more. 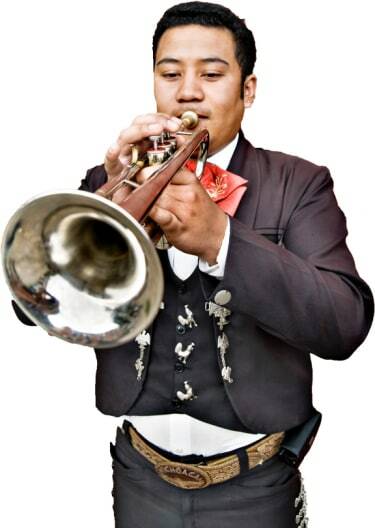 Search for Mariachi Bands in Rockford, Illinois above. Please note that these Mariachi Bands may also travel to Winnebago, Cherry Valley, Roscoe, Rockton, Shirland, Pecatonica, Caledonia, Stillman Valley, Seward, Davis Junction, Byron, Durand, Monroe Center, South Beloit, Poplar Grove, Holcomb, Lindenwood, Ridott, Leaf River, Davis, Kirkland, German Valley, Garden Prairie, Rock City, Capron, Esmond, Kingston, Clinton, Oregon, and Clare.